All Barry M Lip Paints have a soft, beautiful smooth texture that is packed full of natural moisturisers to help them glide on and stay comfortable to wear for hours. These Matte Lip Paints give a rich and vivid colour finish. Octyldodecanol, Cera Microcristallina, Kaolin, Mica, Bis-Diglyceryl Polyacyladipate-2, Isononyl Isononanoate, Paraffin, Aluminum Starch Octenylsuccinate, Silica, Cera Alba, Helianthus Annuus Seed Cera, Shorea Robusta Resin, Rhus Verniciflua Peel Cera, Phenoxyethanol, Butyrospermum Parkii Butter, Tocopheryl Acetate, Tocopherol, Ascorbyl Palmitate (+/- CI 15850, CI 77891, CI 77492, CI 77499, CI 77491). Due to the inclusion of beeswax, these lip paints are not suitable for vegans. 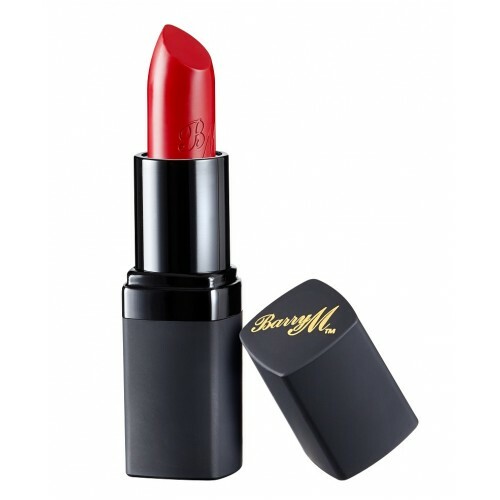 Barry M is known as the most colourful name in cosmetics and the UK's number 1 fashion cosmetic company. With over 400 different colours and a wide range of products Barry M has become a household name in the field of Fashion Cosmetics. They offer a low to mid-price brand of quality, affordable and extremely fashionable fun cosmetics. Barry M live and breathe fashion, colour and style in the UK, making the best possible, best value products with a British sense of style.